You are invited! 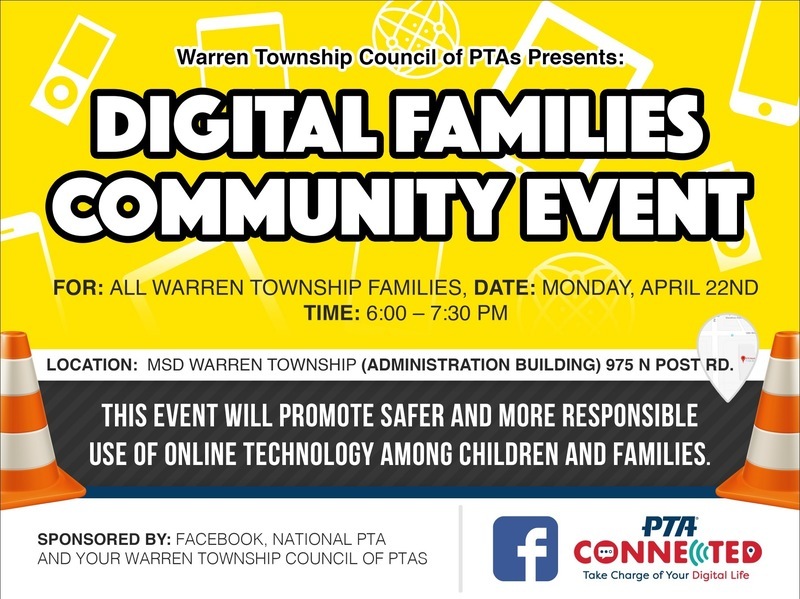 Warren Township Council of PTAs is sponsoring a Digital Families Community Event to be held at the Warren Education & Community Center, 975 N. Post Road on April 22nd at 6:00 p.m.
Pizza and drinks will be provided at this event. 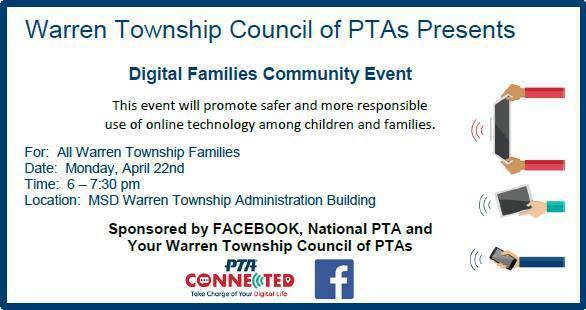 Please RSVP by using this ticket link.